The TGE crew get chatting on the mashing together of science fiction and fantasy. What is it? Does it more palatable for the general public? And why isn't Terminator 2 an example of it? The TGE crew get chatting on the mashing together of science fiction and fantasy. What is it? Why do people do it? Does it more palatable for the general public? And why isn’t Terminator 2 an example of it? Thanks for listening! Want to share your own thoughts on Science Fantasy? 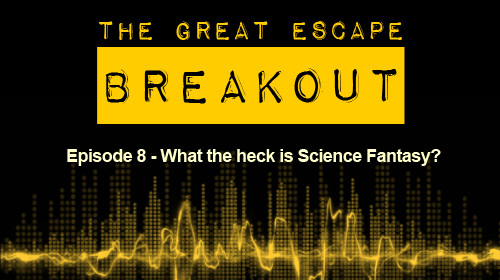 Drop us a line on our Facebook page, facebook.com/TGEBreakout. Squishy, the giant squid that Chrissey made has kind of become our unofficial mascot.